“I unplugged the air freshener,” my husband said when he came home. That day, he had been working in his boss’s office in her absence and had gotten a headache. She had a Glade air freshener in there, and my husband knew it had to be the source of his headache. He had not eaten anything out of the ordinary, and he did not get headaches when he worked in his normal location. While I do not advocate for your laundry detergent making your clothes smell as though they had never been washed, your clothes do not need to smell as though half a bottle of Febreeze was emptied onto them. Worse than the fact that everything has to “smell good” is that the definition of “smell good” is off. You don’t need Bath and Body Works products to smell good. Why? Fragrance does not need to be the third ingredient in your lotion. Yes, I visited Bath and Body Works’ website and was unable to find a list of ingredients for their products there. The main purpose of your lotion is to moisturize your hands. If your hands also smell like a garden of roses, that is a bonus! Think of it this way. No one wants ugly towels in their kitchen. However, when I shop for towels, I consider their quality, durability, and absorbency. The secondary benefit of towels is that they can brighten my kitchen. I love lavender oil because one small bottle which takes up minimal space in your home has many benefits and uses! 1. It can help to maintain a calm environment in your home. The world around us is always rushing and running. Your home can be a haven with the help of the atmosphere you create. Lavender oil can help calm your family members down. 2. Lavender oil may help you relax and fall asleep quickly. My husband and I always begin diffusing lavender oil about an hour before we are retiring for the night. Just one or two drops in the diffuser is all we use. If you do not want to diffuse lavender oil in your bedroom, you can spray some diluted oil on your pillows and sheets. For more tips to stop your sleepless nights, go here. 3. Lavender oil is safe to use around young children. 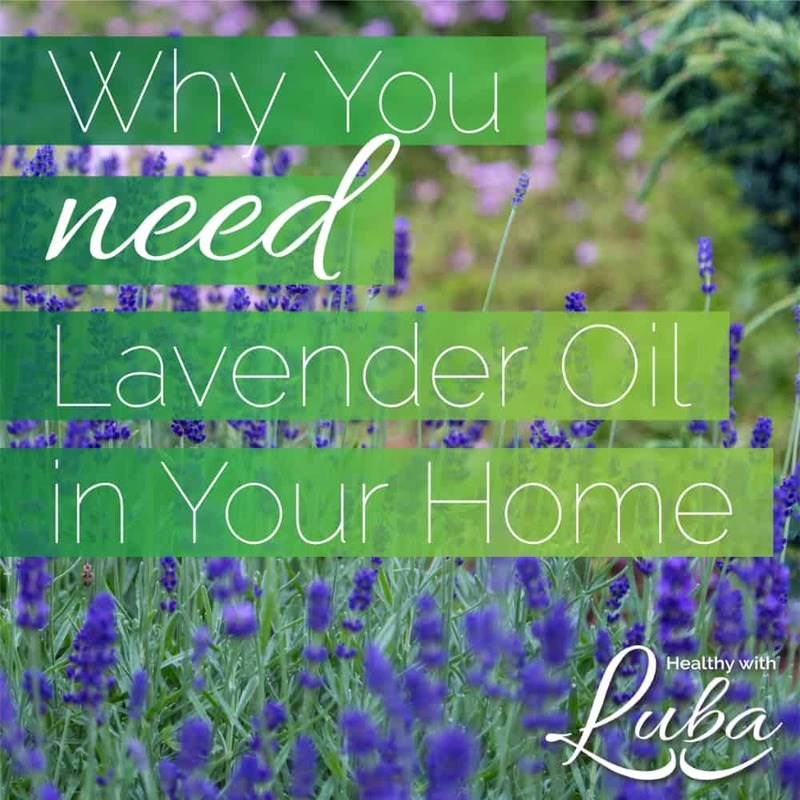 Many essential oils cannot be used safely around young children, and lavender can. Be sure to check with a professional before using any essential oils around children. 4. Lavender oil makes your home smell wonderful. 5. Lavender oil is excellent for your skin. I mix lavender oil into my moisturizer often and see improvements in the skin on my face. It may help wtih acne, eczema, and other skin conditions when used consistently. Which use of lavender oil is your favorite? If you found value in this article, please use the buttons to your left to share it with your network. Thanks Luba! Just last week I made my own lavender soy candles :). Just soy wax and lavender essential oils. No added “fragrance” or any junk! They smell wonderful and they look beautiful! Kristen, thank you for reading and congratulations on making your own candles.